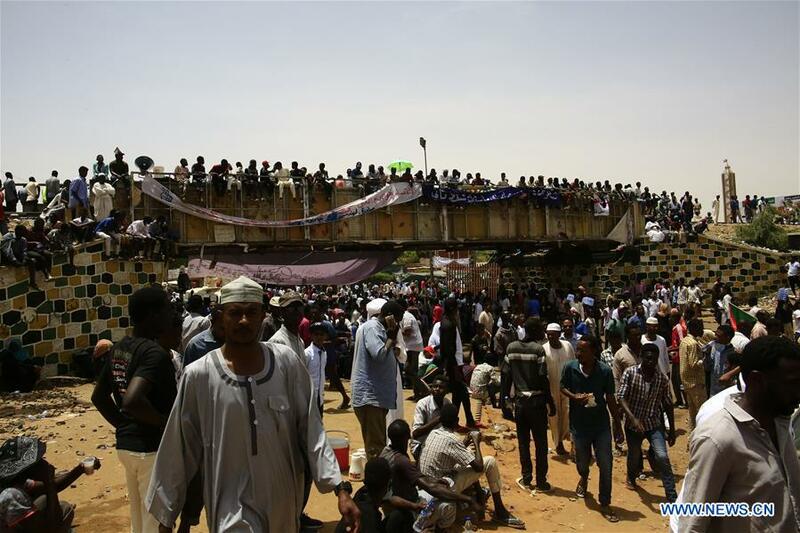 KHARTOUM, April 13 (Xinhua) -- Sudan's opposition Freedom and Change Alliance on Saturday demanded the transitional military council involve civilians in a joint presidential council. "We demanded the participation of civilians in the transitional presidential council in addition to a civilian government," Omer Al-Digair, a member of the alliance, told reporters. The alliance will present a list to the chairman of the military council on Sunday, he added. Al-Digair also said the alliance asked the council to restructure the security body and bring all people involved in corruption and killing of protesters to fair trial. Earlier in the day, Al-Burhan voiced in a statement his commitment to forming a two-year transitional civilian government.